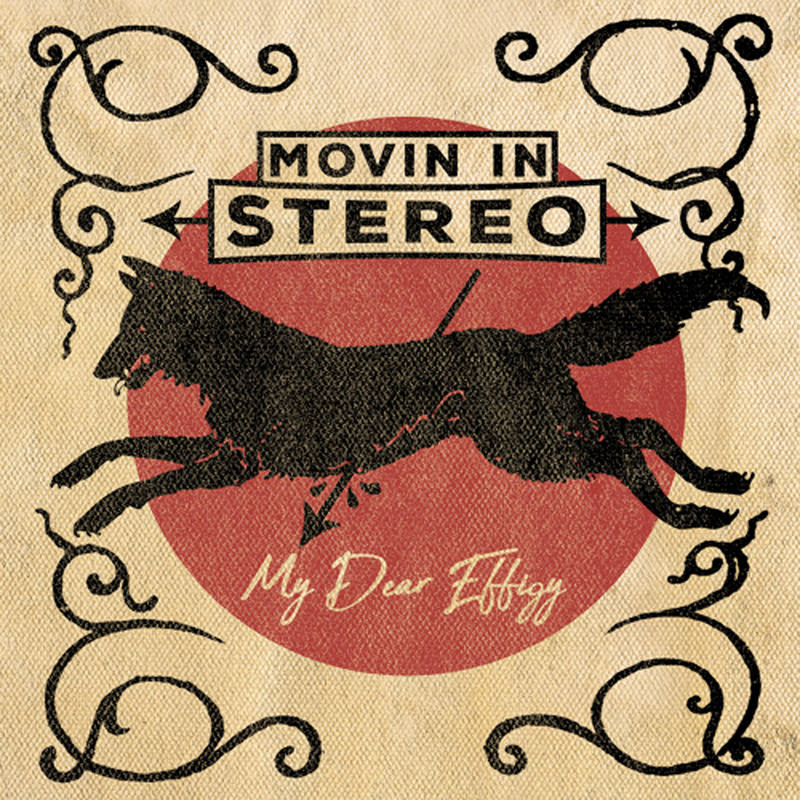 With an international lineup consisting of members from New Zealand, the U.K., and Gothenburg, Sweden-based group Movin' in Stereo hit me up a few weeks ago about their debut six-song, (almost) 20-minute EP, My Dear Effigy. Simply referring to themselves as a "punk rock band," I was completely unsure of what to expect, but found myself listening repeatedly right off the bat—fully hooked by the second or third song. My immediate reaction was that the material brought to mind the melodic punk lean of Down by Law with a bit more of a "rock" polish. I'm constantly remarking about how I'm a sucker for a catchy tune, and—best exemplified by the title track, "Snake Charmer," "This Punctured Lung," etc.—this EP is full of 'em. It's all the more impressive when you realize that the band is literally responsible for everything (as you'll learn below), right down to the killer production and even the manufacturing of the vinyl! I know almost nothing about Movin' in Stereo thus far, so tell me a little bit about the band. You're based in Sweden, but members also come from New Zealand and the U.K., so how did this all come about? Yeah. John and I wrote about 17 songs and decided they didn't really feel like us, so we started again and got My Dear Effigy. It took so long because I was also learning how to record stuff and we wanted it to sound decent. We spent a good two years trying to work that out [laughs]. Then, of course, we didn't have a band, so that slowed it all down even more. You work at a vinyl plant and are currently finishing up the pressing of the EP as a one-sided 12" with an etched B-side. What's it like physically manufacturing music for a living, and did that hook-up assist Movin' in Stereo with making My Dear Effigy a bit more of a "special" release at all? I landed this dream job last year! I work for Spinroad Vinyl and it's run by a friend, Pedro Ferreira. He moved here some years back and has a studio above the plant. He made a name by producing and recording the first album by The Darkness. Being able to make this EP from start to finish has been incredible. We had it mastered by Mika Jussila at Finnvoxx in Helsinki, Finland; and the artwork was done by our mate Brad Clifford. I met Brad a long time ago in New Zealand when he was there playing with his band, Poison the Well. I then met him years later in Gothenburg while I was working a show. He is a tech for The Gaslight Anthem and Against Me! I really wanted to make this vinyl different and really show off his work, so we got the image engraved into the lacquer and made into plates. Having the EP on one side also made a lot more sense. We will have a few different colors and styles to pick from. As we were going back and forth via email, I mentioned that My Dear Effigy reminded me a bit of Down by Law. For my own selfish, music-obsessed research purposes, I'd love to hear about some of Movin' in Stereo's key influences, as I'd imagine there might be a few that I'm not yet familiar with! Cool that you heard a bit of Down by Law in it! Hadn't heard anyone say that one yet! Everyone hears different sounds within our songs. I think the main influences for John and I are Against Me!, Hot Water Music, The Draft, and Social Distortion, so that naturally comes out in the writing process. I believe you've already been working on writing new material for some time now. Is there anything you can share about how the future might be shaping up thus far? We've almost got another EP's worth of songs together. We have no interest in doing a full album as we have no label or backing, and—to be honest—we would rather put out a few of our best songs than an album with a few good ones and the rest to fill the space, if you know what I mean. Before we put out another EP, we will release a new song as a 7" and have a B-side of the song "My Dear Effigy" done with just piano and vocals. We just want to keep the songs coming, and now have the perfect outlet to do so. Order My Dear Effigy in multiple color variants straight from the band, and/or stream it via Spotify, etc. Keep up with Movin' in Stereo on Facebook and Instagram.